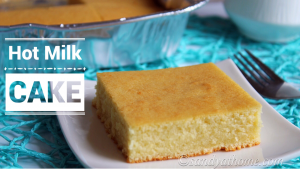 Hot milk cake is a old fashioned treat that is very light, soft and spongy with aromas of butter and milk making the cake irresistibly tasty. 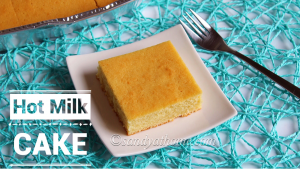 This hot milk cake requires very few ingredients in its making that are basic with a preparation method that is easy and understandable to anyone. 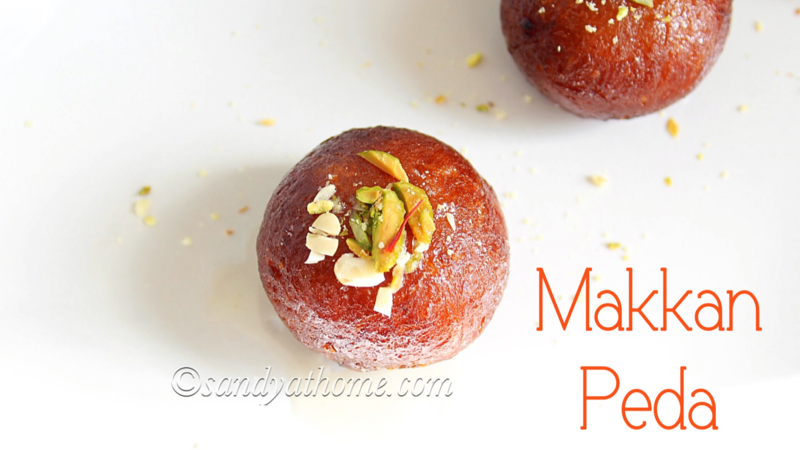 Yes such a simple preparation yields in soft and spongy cake that can be served along with cup of coffee/ tea or can be consumed with few drizzles of caramel sauce after a dinner to make it a complete one. 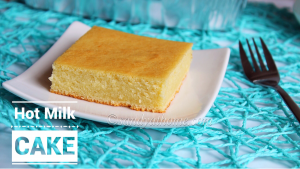 If you are looking for any simple and easy cake recipes this weekend give this a try and surprise your family and loved ones. So lets get the making! 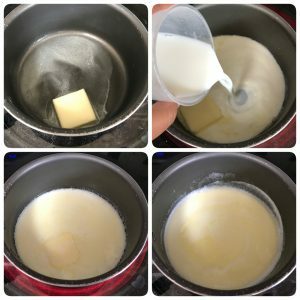 Heat a pan add butter and milk. Mix well and allow the milk to boil. When the milk starts to boil put off the flame and keep it aside. Preheat oven at 325F. 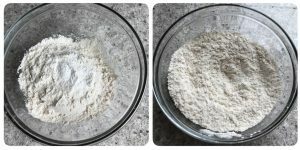 In a wide bowl add all purpose flour and baking powder. Mix well and keep it aside. In another bowl add sugar and egg. 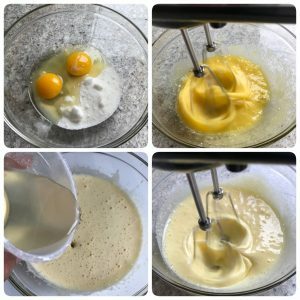 Using a hand blender, blend it fluffy in medium speed. This should take about 2 minutes. 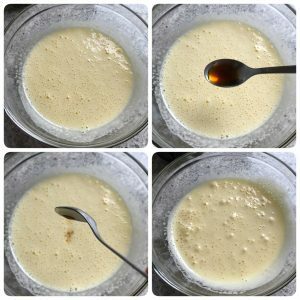 When the mixture looks fluffy add oil in it and blend it again until combined. Now when oil looks combined add vanilla syrup and mix it well. 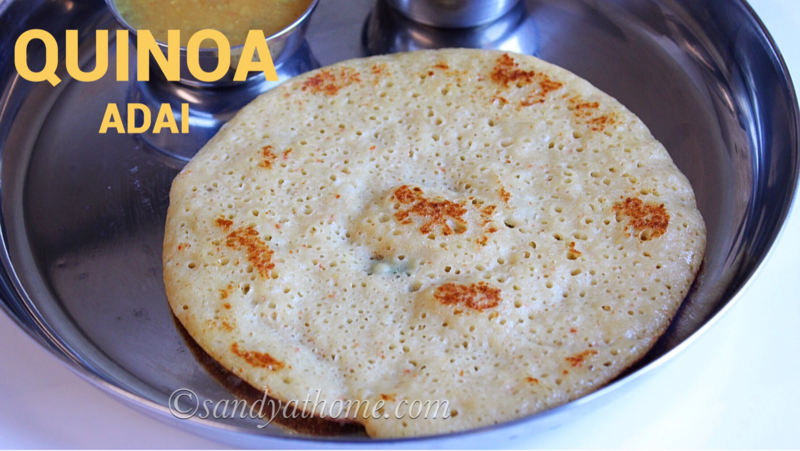 Now add the flour mixture and fold it gently using a spatula. Finally add the milk and butter mixture and mix well. Grease a square baking tray with few drops of oil. 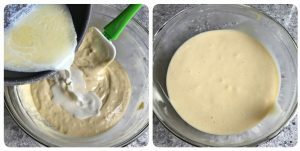 Now pour the batter onto the greased tray and place it in the preheated oven and bake it for 35 to 40 minutes. Every oven is different so if it is not baked in 40 minutes bake for some more time. 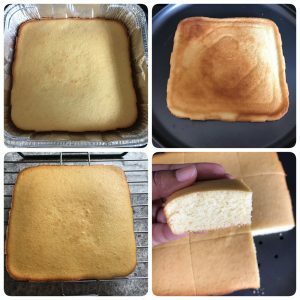 When the cake looks done with brown sides insert a toothpick in the center of the cake, if it comes out clean the cake is done, if it has some batter then bake for some more time. When done take the cake out of the oven. Invert the baking tray and take the cake out. 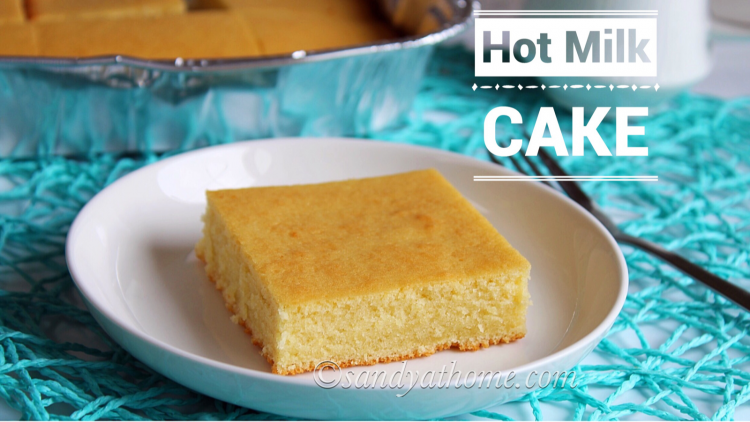 Place the cake on a cooling rack for it cool down. 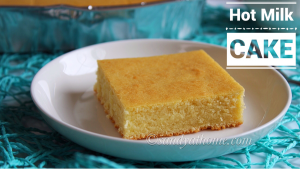 When the cake looks cooled cut the cake into squares and serve it! 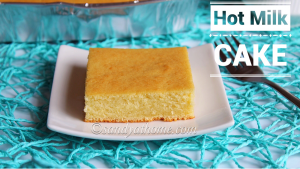 Did you bake the cake in an aluminium foil container ? Sorry for the late reply, I was on vacation. 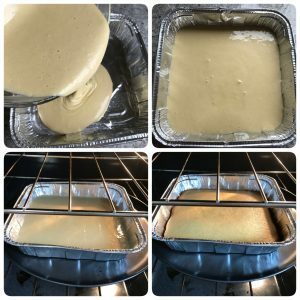 I baked the cake in foil cake baking pan.